At the rear of the sheriff's home is a three-story jail, complete with cells, each containing a special exhibit on the history of the Neillsville area. The jail's atmosphere is barren and cold. 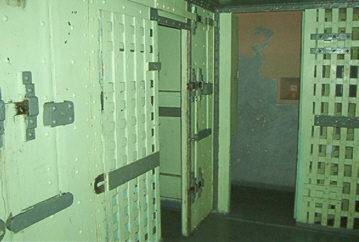 It was built to accommodate enough space to incarcerate 12 males and 4 females. 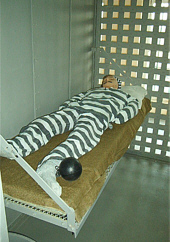 It also had an isolation cell, and a "drunk tank."